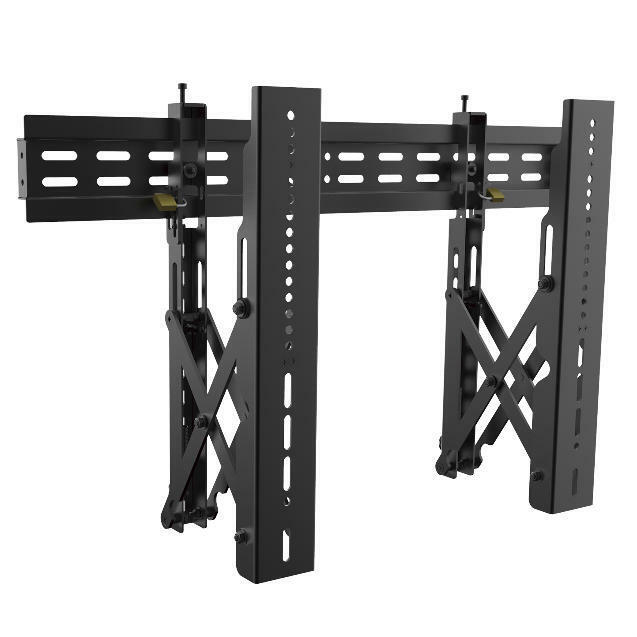 Support for videowall easy removable wall mount. Economic and functional support , facilitating access to the rear for maintenance. Monitors in landscape orientation. The depth and height adjustments allow perfect alignment screens. We can draw out a distance of 202 mm by gently push system with a slight pressure on the monitor. Monitors up to 45 kg. Vesa 600x400 mm maximum.